Living in the "Information Age", it's very easy for us to be "aware" of things. That is, with all of the input which we get from the internet, television, radio, and other sources, we have heard of many things, but that doesn't guarantee that we actually know anything about them. (Which means that there are most likely a lot of jerks out there, who love to act like they know what they are talking about, when they really don't.) Of course, this sort of thing has been happening for years. For example, I've heard of Paddington Bear. I've seen the books in book stores and the plush toys on shelves, but I can't say that I know much about the character. The books were around when I was a child, but I don't remember every picking one up. (Maybe it's a British thing.) So, I went into the live-action Paddington movie knowing very little other than the fact that the trailer did not look promising. Paddington opens in "darkest Peru" where two bears (voiced by Imelda Staunton and Michael Gambon) meet a British explorer (Tim Downie), who introduces them to marmalade and tells them that they are welcome in London anytime. Years later, the bears, who are now raising their nephew (voiced by Ben Whishaw), experience a terrible storm and send the young bear to England. Once in London, the bear goes to a train station, as he's heard that orphans who hang around train stations get taken in by families. Sure enough, the Browns -- Mary (Sally Hawkins), Henry (Hugh Bonneville), Judy (Madeleine Harris), and Jonathan (Samuel Joslin) -- are passing through the station and agree to take the bear in for one night. And as they found him at Paddington station, they decide that it would be a fitting moniker. Knowing little of the human world, Paddington is eager to explore the Brown household, much to the annoyance of Mr. Brown, who works to find a home for the bear. Meanwhile, local museum worker Millicent (Nicole Kidman) gets wind of the bear, and decides that she wants to add him to her collection. There's an old saying which goes, "If you are going to steal, steal from the best", and that's the exact vibe which I got from Paddington, as the movie reminded me of 1999's Stuart Little. The most obvious connections would be that both are based on famous children's books and most mix a CG animal with live actors. But, the similarities go even further. The stories resemble one another, as both feature a talking animal who is taken in by a human family and must adjust to life in a new household. Both feature misadventures and both have a dash of peril. These may seem like vague, generic connections, but while watching the film, I couldn't shake the feeling that the makers of Paddington had used Stuart Little as a blueprint. The difference is that Paddington is a very British film and this is what makes it worth watching. Yes, at the core we have a cute family film about a talking bear. But, Director/Co-Writer Paul King, who worked on the TV series The Mighty Boosh, brings a decidedly weird and cynical British sense of humor to the film. Again, based on the sloppy trailer, which only showed Paddington wreaking havoc, I expected this to be one of those loud, grating "children's films" which go nowhere. I never expected the movie to be laugh-out-loud funny, but that's exactly what it is. While staying within the parameters of a family film, we get jokes which would be at home in a British production by Edgar Wright or Richard Curtis. These sly jokes not only give adult viewers something to keep them interested, but they also draw you into the film. 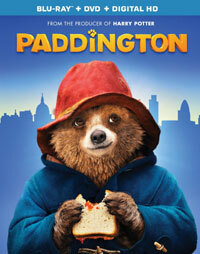 The humor is balanced by a real sense of heart and the relationship between Paddington and the Browns is very touching. If nothing else, just look at the film's cast. Downton Abbey fans should be especially interested in seeing Lord Grantham in a comedy. Yes, he's still playing a stuffy, uptight man, but he has some great lines here. Sally Hawkins brings a great deal of heart to her role, and she must be a good actress, as we can feel the love she has for something which wasn't there when she was shooting her scenes. Kidman, like Bonneville, goes for something a little different here, really cutting loose as the villain. We also get a nice cameo by Jim Broadbent. We could list the great challenges which filmmakers face and near the top would be making a family film which actually appeals to the whole family. King and his team have certainly done that with Paddington. Young children will delight at the antics of a talking bear, while adults will enjoy the humor and the creative way in which the film is shot. Yes, we are forced to endure hackneyed things like Paddington creating a flood, but it's worth it for the humor and touching moments. Paddington plays like a commercial for jelly on Blu-ray Disc courtesy of The Weinstein Company. The film has been letterboxed at 2.35:1 and the Disc contains an AVC 1080p HD transfer which runs at an average of 30 Mbps. The image is extremely sharp and clear, showing on distracting grain and no defects form the source materials. The colors look fantastic, most notably primary colors, and the image is never overly dark or bright. The level of detail is very impressive and the picture has a nice amount of depth. The Disc carries a DTS-HD Master Audio 5.1 track which runs at 48 kHz and an average of 4.2 Mbps. The track provides clear dialogue and sound effects. The stereo effects show good separation and the action sequences, most notably the finale, show a nice amount of surround sound. The flood and the rainstorm, bring us notable subwoofer. The Paddington Blu-ray Disc contains only a few extras. "Meet the Characters" (2 minutes) gives a brief overview of the cast and offers comments from the actors. "When a Bear Comes to Stay" (2 minutes) plays as a reel of Paddington's misadventures, while the actors comment on the action. "From Page to Screen" (3 minutes) looks at the transition from the picture books to a movie, and creating a 3D representation of the character. We get the MUSIC VIDEO for the song "Shine" by Gwen Stefani and Pharrell Williams, which is followed by an interview with the musicians (4 minutes).